Save the Date Full Color Wedding Magnets – Are you planning to get engaged in a near future or do you wish to propose? Congrats! 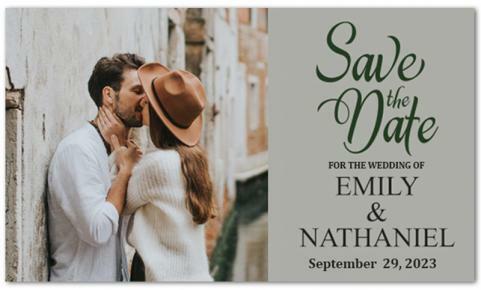 Then you are thinking right, its best to go for custom save the date magnets, which is impressive, hot and trendiest than anything you have ever seen. Send us all required information like venue, date, and high resolution images, which will be utilized by our designers to design these magnets. This means you can get your save the date magnets designed for free! This will surely help you to manage the invitation part easily.